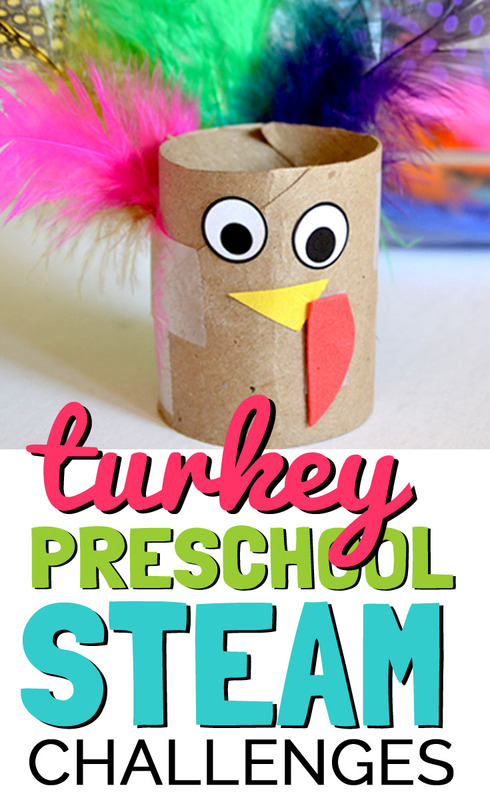 Put a “STEAMy” twist on a classic Thanksgiving craft by making your own turkey and building a hideout for your turkey! 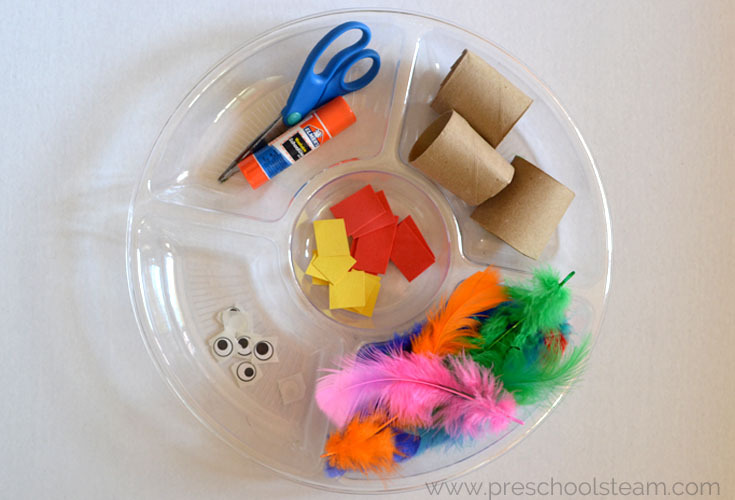 Preschool STEM activities don’t always have to require a lot of time or materials. 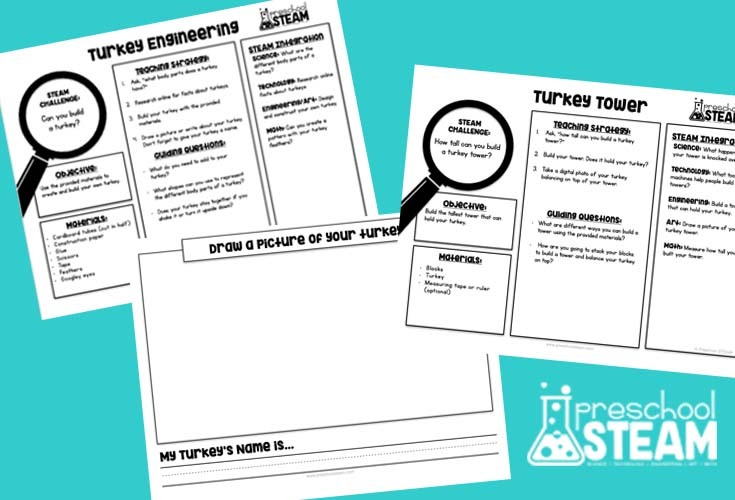 Challenge your children’s problem-solving skills with these two low prep Thanksgiving STEM challenges. Read below for two challenges to inspire your young learner! 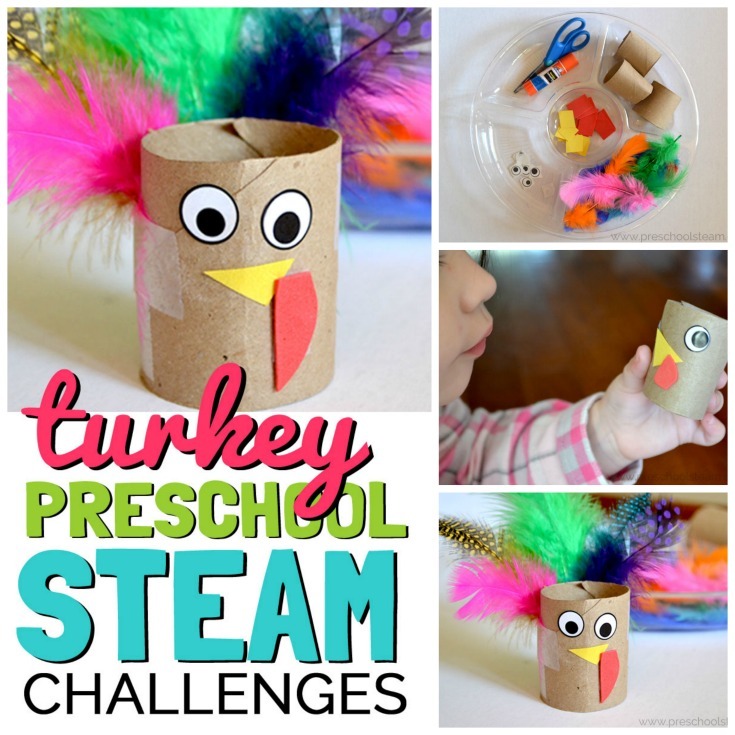 Preschool STEAM Challenge: Can you build a turkey? 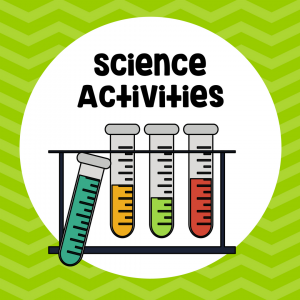 Ask: What body parts does a turkey have? Plan: Research facts about turkeys. What do you need to add to your turkey? What shapes can you use to represent the different body parts of a turkey? 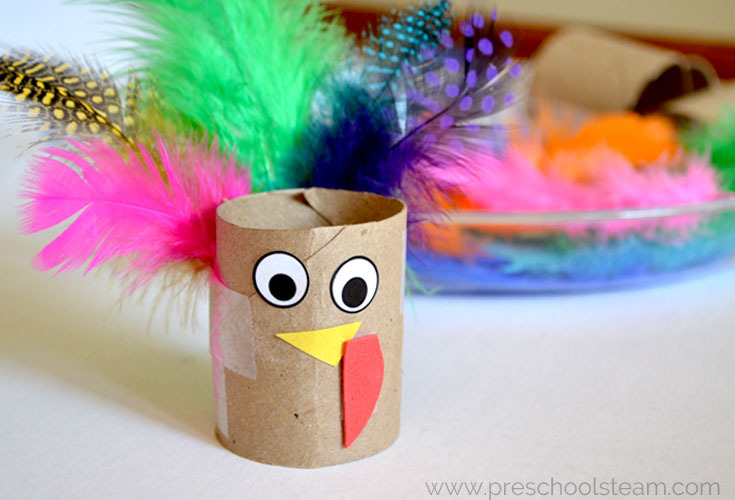 Create: Use the provided materials to build your turkey. Improve: Does your turkey stay together if you shake it or turn it upside down? Share: Draw a picture or write about your turkey. 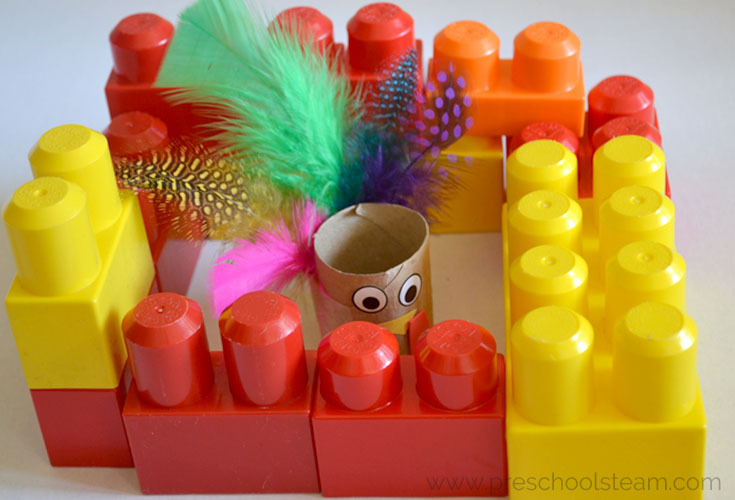 Preschool STEAM Challenge: Can you build a hideout for your turkey? 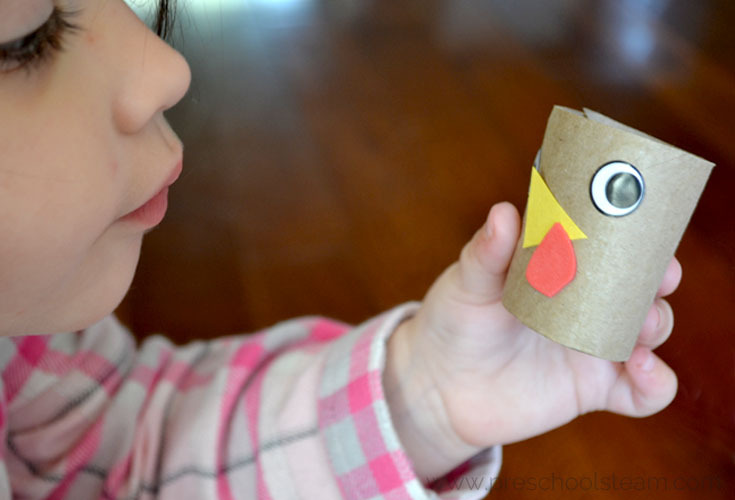 Help build a hideout for your turkey so it doesn’t become thanksgiving dinner! 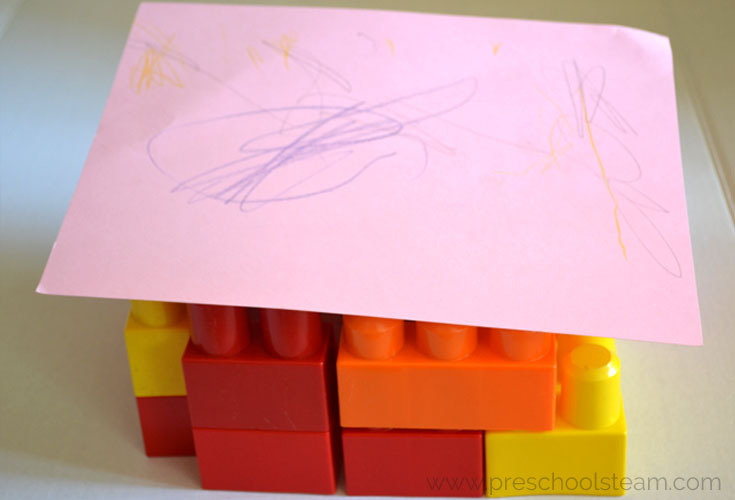 Ask: Can you build a hideout/shelter for your turkey? 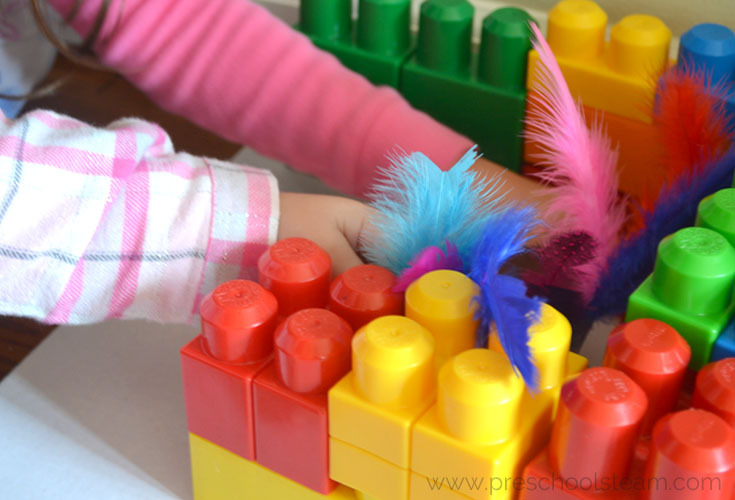 Plan: What materials do you need to build a hideout to save your turkey? Experiment/Improve: Test out your hideout, can you see your turkey? Redesign your hideout as needed. Share: See if a friend can spy your turkey? Want the lesson plan? 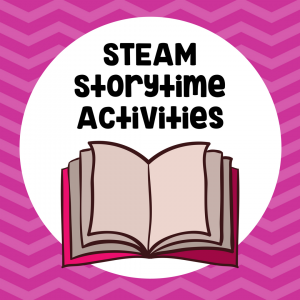 Get all 5 of our Turkey STEAM Challenges!